Kavanaugh’s appointment to Supreme Court Justice may actually play against Republicans in the midterms. 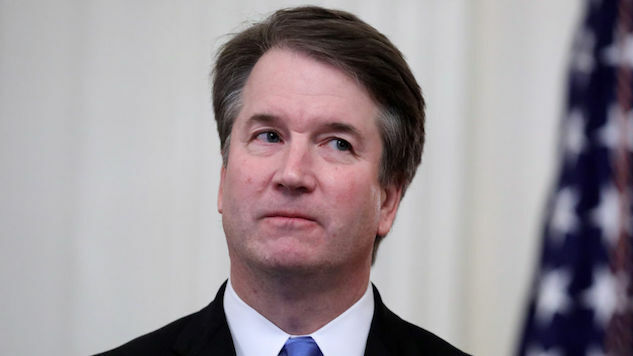 According to an NBC/Marist poll, the majority of voters in Nevada, Minnesota and Wisconsin opposed the judge, who was accused of sexual assault by several women. The poll asked “are you more likely to vote for a candidate who opposed the Kavanaugh pick or one who supported it?” and took place Sept. 30 through Oct. 4. That was after the hearing involving one of his accusers, Dr. Christine Blasey Ford, but before the confirmation vote. Forty-one percent of Nevadans said they’d vote for an opposing candidate, while thirty-eight percent supported. The other eighteen said it made no difference. Those who opposed Kavanaugh in Wisconsin lead by nine percent, though twenty-two percent felt the pick wouldn’t affect their vote. Minnesota saw the greatest difference. Forty-eight percent said they’d cast their ballot for Kavanaugh resistors. Only thirty percent supported the pick, with nineteen percent indifferent. Whatever happens in the midterms next month, it’s going to be huge. NBC says these numbers are proof of concept, as it covered the GOP’s struggle in the midwest earlier this week. If Trump and his Republicans can’t hold onto their strongholds after their spineless actions with Kavanaugh, the blue wave may actually happen.